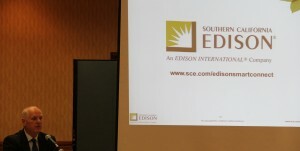 BAKERSFIELD– Southern California Edison (SCE) is preparing to install the last of the nearly five million new smart meters being replaced between 2009-2012 all over Southern California and in valley cities starting this September. The Smart Meters measure and track electricity use and are replacing millions of old electric meters, bringing us to a new era of technology that allows customers to see how they use power and save money. In 2008, the California Public Utilities Commission mandated that all utilities in the state make the switch to smart meters. 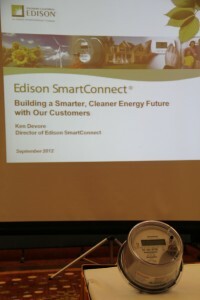 Smart Meters are described as a technology that is “helping lead us to the more reliable, safer, more affordable future electricity,” said Ken Devore, the director of Edison Smart Connect, who has overseen the project for the past four years. The way the smart meter functions is by collecting information of the electricity usage in intervals and communicates with the electricity company using a secure signal and allowing the company to review the information “so that we can take all that data, the data can be validated, edited, checked against your rates or specific program you might have on your service account and can be presented back out to you by eight o’clock the next morning for you to see it on the web,” said Devore. Before getting their electricity statement in the mail, customers will be able to see what times of the day they use the most power and get tips on ways to reduce power usage when not needed. Helping the customer save money and conserve energy. 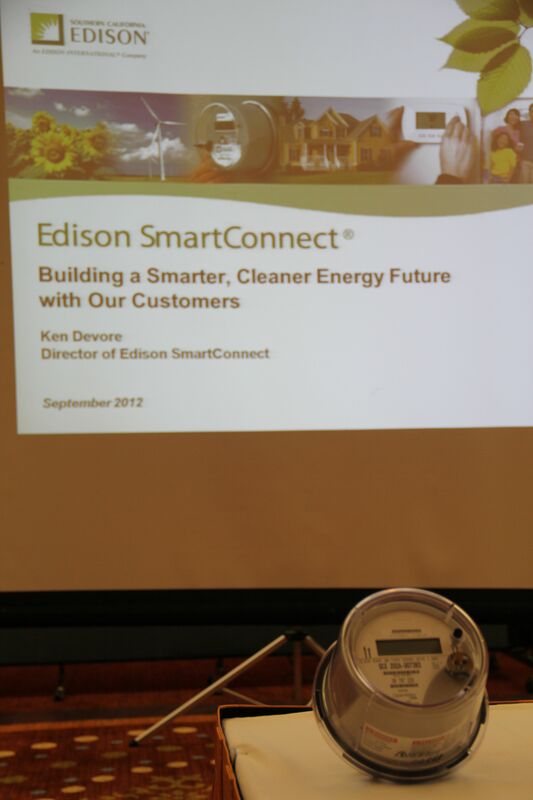 The actual smart meter installation is usually completed within 10 minutes, but not before going through tests to make sure the smart meter is correctly working both on SCE’s end and in the field. After the installation is completed by a Corix employee, wearing proper identification, a letter will arrive at the customers’ home informing them about the features the new program has to offer and how to access them. Features that “allow customers to view their usage daily, helping take control and make informed decisions on how to conserve energy and save money,” said Devore. According to a press release from SCE, if customers decide to opt out of the program they will keep the old manually read meters, pay a $75 onetime setup fee and a $10 recurring monthly charge as required by the California Public Utilities Commission. Income-qualified customers pay $10 for the initial setup fee and $5 a month. You can call 800-810-2369 to opt out. Those customers who may operate life support medical equipment at their addresses or have concerns about power interruptions can call SCE at 800-973-2356. As a youth that lives with my parents I have had to remind them when a payment is due and help them pay their payments online because they don’t know how to operate a computer. By having the responsibility of reminding and making payments for my parents I have had the knowledge of how much electricity we use and it helps me to be more responsible with our energy use. If a customer does not have access to a computer or does not know how to operate a computer, SCE can communicate with their customers with a phone call and alert them if they are going to go over the budget the customer has set. Customers can call SCE at 800-655-4555 for any questions and receive help in a variety of languages. First sentence in article doesn’t make sense. “…preparing to install the last of the nearly five million new smart meters being replaced between 2009-2012…” Smart meters are “being replaced”? Or electric meters? Please clarify so your readers can understand the information you worked to get and report!